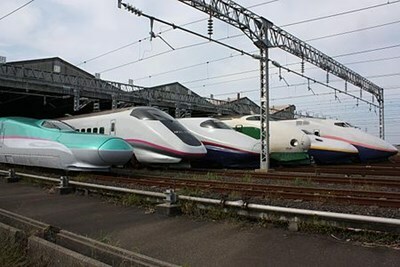 The Shinkansen, also known as the bullet train, is a network of high-speed railway lines in Japan operated by four Japan Railways Group companies. Starting with the 210 km/h (130 mph) Tōkaidō Shinkansen in 1964, the now 2,459 km (1,528 mi) long network has expanded to link most major cities on the islands of Honshū and Kyūshū at speeds up to 300 km/h (186 mph). 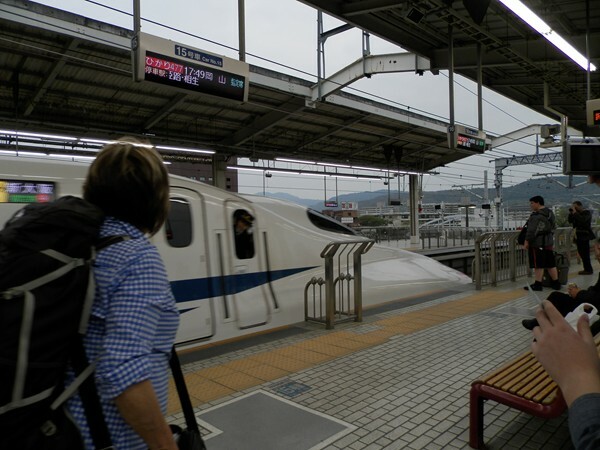 This description uses material from the Wikipedia article on Shinkansen and is licensed under the Creative Commons Attribution-ShareAlike License (view authors). Rode on 22 July, 2012.